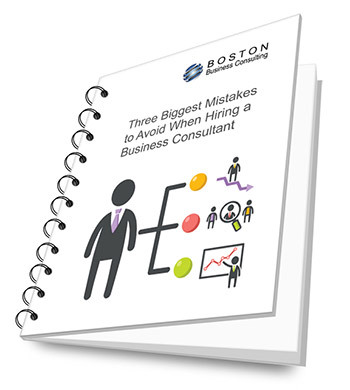 Jim from Boston Business Consulting worked with us on a marketing program. Our big push on signing up new clients for lawn care service comes in the spring. We do a lot of direct mail and this year we also added Pay Per Click to more effectively compete with other companies entering our market. Jim helped us put together the plan and worked with us on the details of implementing it. This included using social media, which we had never done before as well as implementing a Public Relations strategy. With all the new business we started getting behind on delivery. Jim came back in with another program to improve the performance and quality of our service technicians. We set up performance tracking and an employee recognition program. Within weeks of setting up the system we hit our highest ever in delivery and we continue to get more and more done without reducing the quality of our work. Jim has been a pleasure to work with. He has an amazing grasp of all the tools and knowledge necessary to fix and improve a struggling business. He was able to spot the problem areas in our business that had been preventing us from growing and prospering. He then provided really great solutions, that made sense and that worked. The best thing about working with Jim is that he educates you and brings your skills as an administrator and executive up to a whole new level. Jim has been working with us since the beginning of 2013 as a business consultant on our marketing, our hiring process and also on developing policy for implementing systems and processes within the company. As a result, sales for the first half of 2013 are running 50% higher than for the same period a year ago and we are booked out to capacity for the next 6 months. My stability and confidence as a business owner has risen tremendously. I am always impressed with Jim's ability to listen, understand and present exact solutions in an industry that he was not intimately familiar with. I used to have the idea that this was a prerequisite for any consultants we worked with, but Jim is able to really understand what we need and tailor his recommendations to our specific needs. I could not recommend a better coach, consultant or advisor. Victory Productions is currently on target to have our best year ever. We have 70 employees and growing, with offices in Worcester, MA and another in Medellin Columbia. Jim has been helping me as the business owner to manage the changes that are happening with our expansion and to get the people and systems in place to make it go smoother. He did a business evaluation and helped us identify the area of the company we needed to focus on, which for us was Human Resources. We’ve been working on ways to better organize the area, getting the right people in to run it and putting in a more streamlined hiring process to keep pace with our constant demand for more freelancers and full-time staff. Jim’s secret to business consulting is his ability to validate the business owner’s own successes. Building upon the past successes provides a strong platform from which one can explore and project new opportunities for organizational improvement and business development. Our relationship has been one of mutual discovery and not of one-sided business advising. We have both experienced big wins. Jim has given us more clarity on the challenges that we’re facing in our industry and the opportunities that will help us shape our future products and services. He is also working with me on a more comprehensive business plan that would allow me to eventually turn over a lot of the day-to-day functions that consume most of my time. This will let me focus on the management actions that are most productive. By turning over these other functions I can finally free up the time to do something for myself that has been a lifelong dream. Working with Jim has been a pleasure and a very wise business decision.